Tax evasion doesn’t just cost the government — it costs us all. When businesses and people aren’t paying their fair share in taxes, the rest of us either end up paying more when taxes are inevitably raised to cover what’s not being paid. We also end up paying more taxes to cover the increased cost of enforcement to go after those who aren’t doing what they’re supposed to do. The so-called “Panama Papers” that were leaked recently have shed light on illicit practices like tax evasion, money laundering and corruption, typically involving offshore companies that were set up exclusively for those purposes. Shell companies are established in other countries to hide assets and business dealings. The ownership of these companies is hidden. Typically, those engaged in criminal activity establish these companies, such as drug dealers and terrorists. However, some mainstream companies also establish these shell companies in an attempt to skirt their tax obligations. Shell companies can be used to wire money and open bank accounts, as well. Sometimes, shell companies are used for legal reasons, like hiding who is behind a real estate transaction so as not to encourage price gouging. A series of measures have recently been passed to curb some of the illegal uses of these shell companies. At the beginning of May, the Treasury Department passed a series of measures designed to curb the abuse of shell companies for illegal purposes. The department started by getting at the resources that these shell companies use. It passed a customer due diligence rule that requires institutions like banks to verify the identity of its customers so it knows who is using its services. Should a criminal investigation be opened against a company, law enforcement can seek information from the financial institution. The Treasury also passed a new rule that would curb abuse of shell companies opened in the United States by foreign businesses or individuals. The new rule requires that companies opened by foreign owners have a U.S. taxpayer identification number. Having that number requires them to report information about ownership and transactions. These new rules are just the latest in a series of measures that have been taken under the Obama administration to curb abuses. The Obama administration passed several years ago the Foreign Account Tax Compliance Act and has pushed for more prosecution of criminal activity. Numerous companies have been prosecuted, and billions in fines and taxes have been paid. The president is not able to pass law by himself, so Congress must act if additional curbs are to be put in place. The Obama administration is pushing Congress to approve up to eight new tax treaties that would crack down on offshore accounts; to give law enforcement more power to curb corruption; to strengthen laws that require reciprocal transparency; and to pass laws that require companies to reveal their beneficial owners. Taken together, these steps would reduce opportunities for individuals and businesses to engage in criminal activity, and they would give law enforcement more tools to discover criminal activity and prosecute it. Not only would these rules help to limit tax abuses, but they would also help to improve national security by undercutting the financial support of terrorist organizations. As an Arizona business owner, you may use offshore accounts or companies to legally minimize your tax obligations or to otherwise improve your financial health. It is important that you work with a tax attorney to ensure that you are engaging in legal practices and are not running afoul of any updated regulations. Tax law can be so complicated that you may unwittingly be committing a wrongdoing. 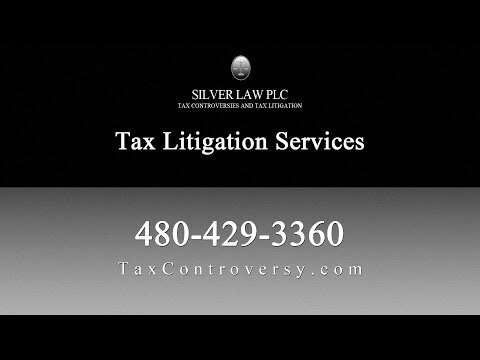 The Scottsdale tax attorneys at Silver Law PLC can help you understand your legal obligations and rights. A Scottsdale tax litigation lawyer from our team can represent you if you have already found yourself the subject of legal scrutiny. We can represent you in cases involving foreign accounts or in other tax matters. We help companies with tax audit representation, collections, and other issues. Call us today to talk with a tax litigation lawyer about your current legal troubles or to discuss general tax questions with a tax attorney in Arizona.